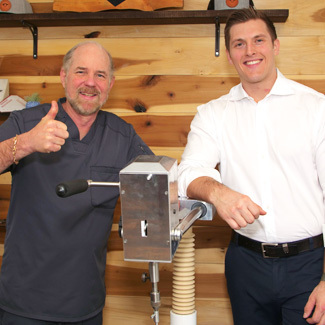 Dr. Ryan has had the opportunity to be under the mentorship and guidance of Dr. James Ken Humber, Jr. Dr. Humber has practiced in both Cobb and Cherokee Counties over his 36-year career and is proudly recognized as one of the best upper cervical chiropractors in the country. His father, Dr. James Ken Humber, Sr. was also a very well recognized doctor and leader within the profession. With the generational knowledge and experience passed to him, Dr. Ryan plans to carry on the legacy of excellent patient care to Cherokee County and the local Ball Ground community. Dr. Ryan offers the best in research-based pain relief and wellness care. This integrated approach combines both Chriropractic Orthospinology and Pain Neuroscience Education. With this knowledge and understanding, Dr. Ryan is able to manage both acute and chronic pain conditions. Dr. Ryan is the only chiropractor in the state who combines Chiropractic Orthospinology and Pain Neuroscience Education. With this dual treatment approach, we are able to eliminate pain and suffering while optimizing patient wellness without the inconvenience of extensive treatment schedules. Pain Neuroscience Education is based upon teaching each patient about the neurobiology and neurophysiology of pain. Continued research shows that this informative approach can reduce your pain, reduce your disability, and improve your physical performance. The word “doctor” stems from the Latin phrase [dɔˈkeːrɛ] which means to teach. Here at BGUCC, we teach you about the importance of Pain Neuroscience Education and how correcting your spinal misalignment can provide long lasting relief and ultimately complete physical recovery. We are dedicated to delivering exceptional chiropractic care and always have the best interests of our patients in mind. Exceptional is the rule, not the exception. Less is more here at BGUCC. 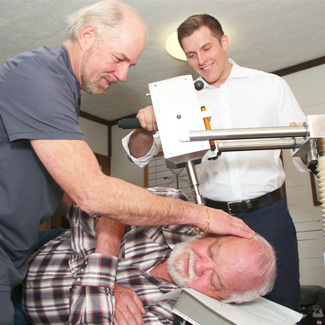 That is, we want to correct your spinal misalignment in the least amount of office visits and corrections as possible over the course of a lifetime. We accomplish this by utilizing our specific 3-D imaging and diagnostic system. This procedure allows us to focus specifically on your unique misalignment and removes all guesswork thus eliminating the burden of unnecessary care and subsequent health care costs. We love seeing the incredible effects that natural care has on the health of our community. If you’d like to find out more, contact our Ball Ground chiropractic office today!